This month's book is Flight behavior. Afternoon Book Group Open to the Community Thursday,August 21, 2014 1:00-2:00 p.m. Books & Company Ken will be leading a discussion on Flight behavior by Barbara Kingsolver (September 18~ Bohemian Flats by Mary Relindes Ellis) Dellarobia Turnbow is a restless farm wife seeking momentary escape through an obsessive flirtation with a younger man. As she hikes to a secret tryst, she encounters a valley filled with what looks like a lake of fire. She understands it as a cautionary miracle, but it sparks a raft of other explanations from scientists, religious leaders, and the media. As the community lines up to judge the woman and her miracle, Dellarobia confronts her family, her church, her town, and a larger world, in a flight toward truth that could undo all she has ever believed. The Northshire Saratoga Truth & Tales Reading Group will meet at the Around the Corner Cafe on Thursday, July 17th at 6:30 pm to discuss, Flight behavior, by Barbara Kingsolver. We currently have a full group of excited readers, but for more information about the group or to be put on the waiting list please contact ReadingGroupsNY@northshire.com. This month we’re reading Flight Behavior by Barbara Kingsolver. All are welcome to join us. The FOURTH TUESDAY (MARGIE’S) BOOK CLUB will discuss Flight Behavior by Barbara Kingsolver. Barbara Kingsolver is currently considered a "single author." If one or more works are by a distinct, homonymous authors, go ahead and split the author. 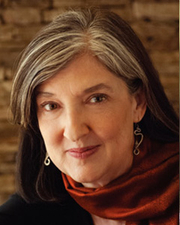 Barbara Kingsolver is composed of 27 names. You can examine and separate out names.